Pieter Oberholster has quite a collection of invaluable breeding birds: a unique and very rare son of Bliksem, several youngsters of Bliksem's successor Rudy, and youngsters of top breeder The Returned Bliksem. These bloodlines have delivered in races across the globe, and they are almost guaranteed to lead to great results. 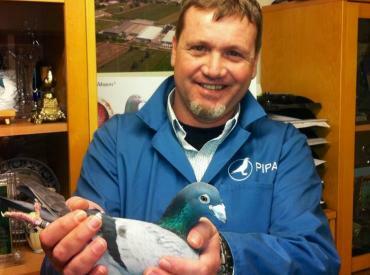 Pieter came up with some fantastic inbred pairings from his best breeders, and some of their youngsters will now be sold on PIPA.